Sheer ribbon edged with beautiful hearts. 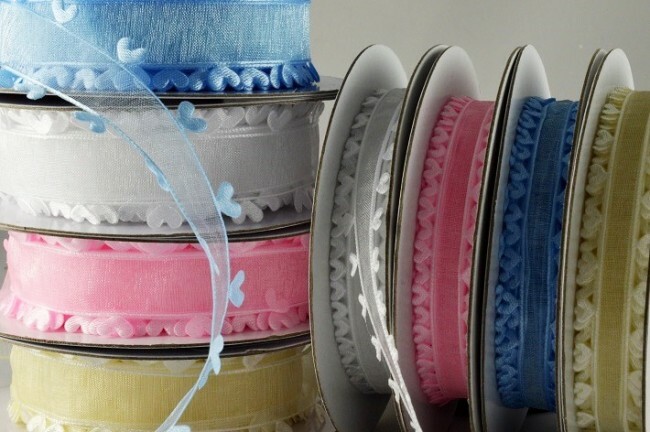 This fantastic ribbon comes spooled on 10 metre rolls. 55007 - 15mm & 25mm Coloured Heart Edged Ribbon (10 Metres) Sheer ribbon edged with beautiful hearts. Available in a brilliant selection of colours. This fantastic ribbon comes spooled on 10 metre rolls.